202 / , entire, etc. 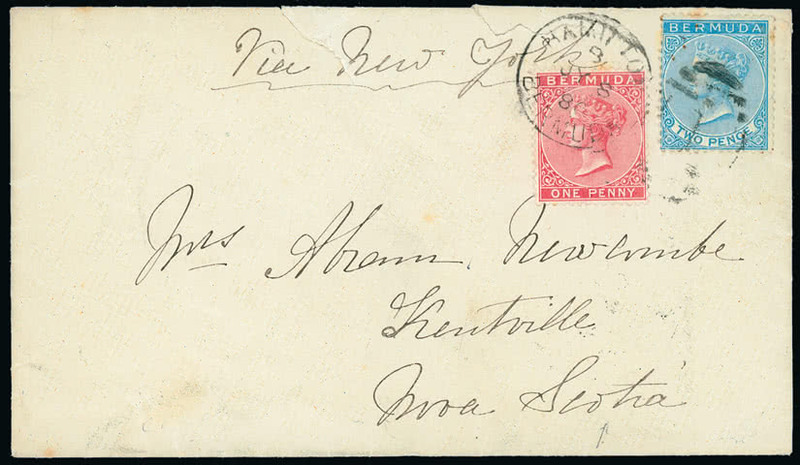 Bermuda: Covers and Cancellations: 1880 (July 8) envelope to Nova Scotia bearing 1865-1903 perf. 14 1d. and 6d. 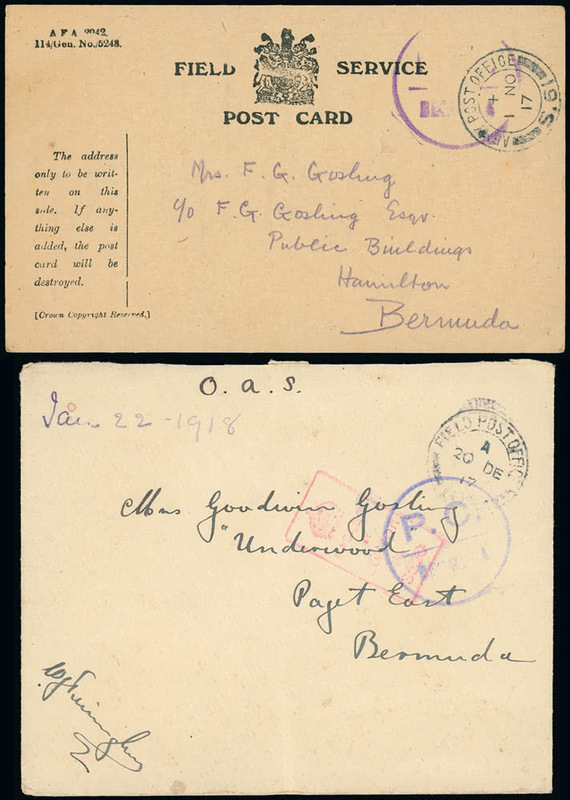 tied by Hamilton duplex, St. John and Kentville c.d.s.’s. 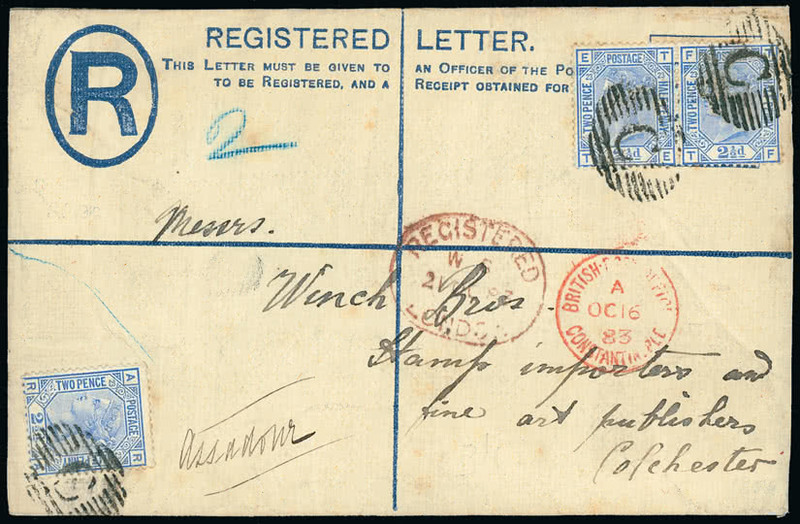 on reverse, a few imperfections at top from opening, otherwise fine. Photo. 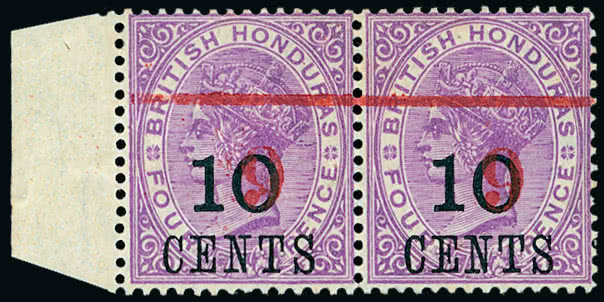 207 British Honduras: 1888 (Jan.) 2c. 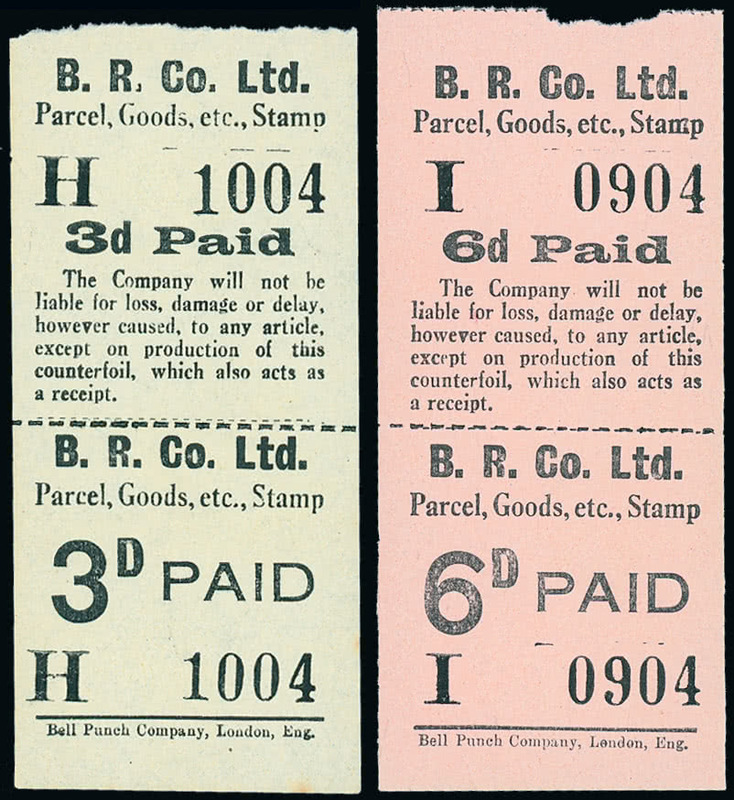 on 6d. rose, perf. 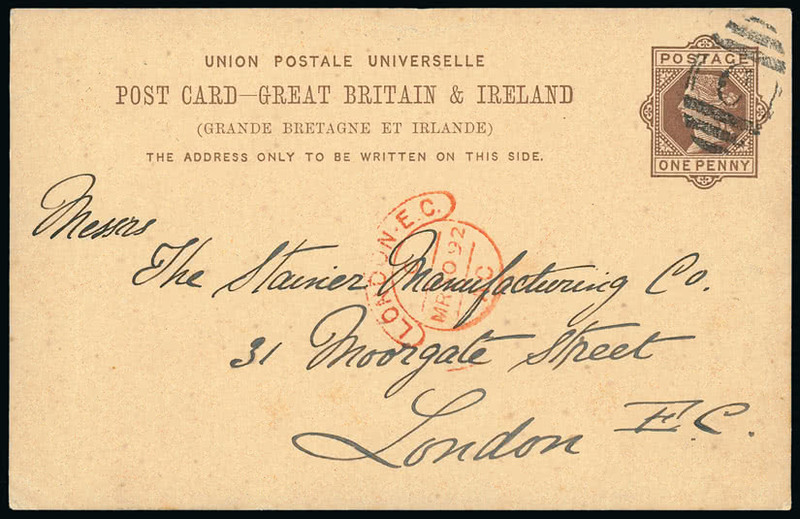 121/2, upper right corner marginal mint strip of three with two unmounted, a very rare corner multiple. S.G. 23. Photo. 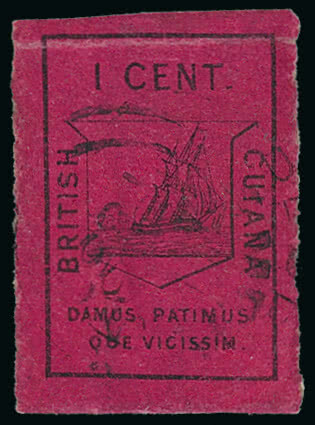 208 British Honduras: 1891 6c. in red on 10c. on 4d. 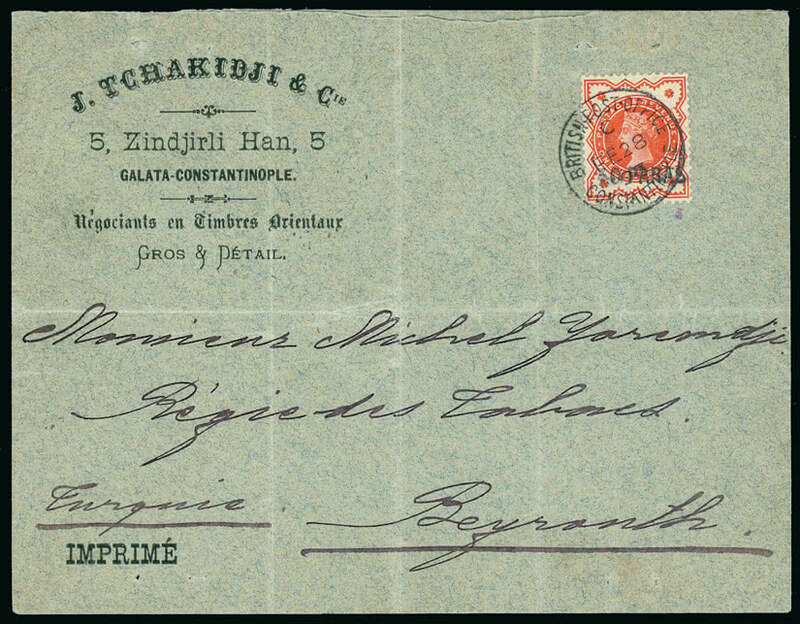 mauve, with variety “6” and bar inverted, an unused marginal pair, pen notes on reverse not detracting from very fine appearance. R.P.S. 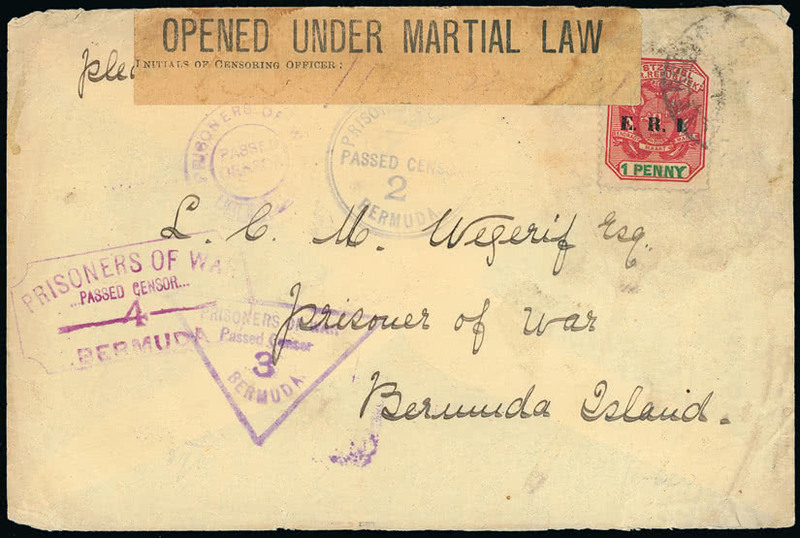 certificate (1918). 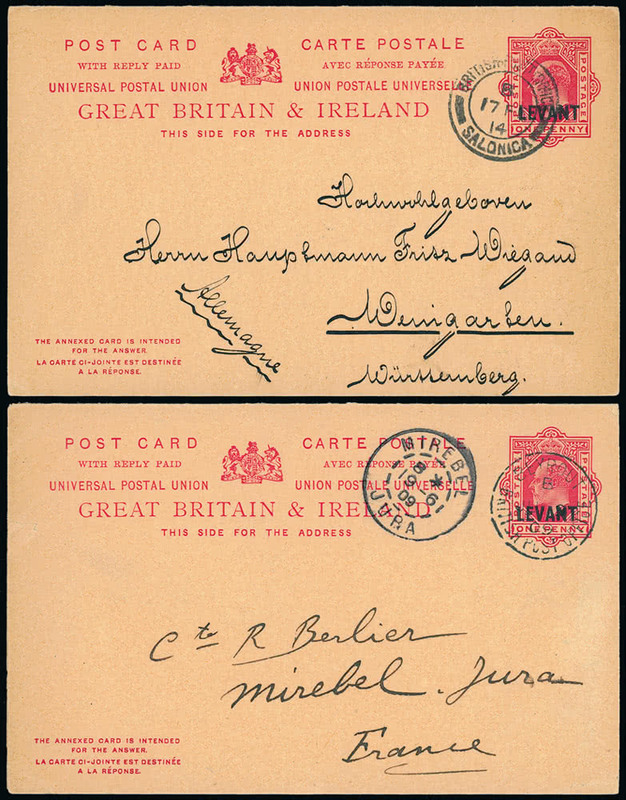 S.G. 43a. Photo.